Imogen's Typewriter. 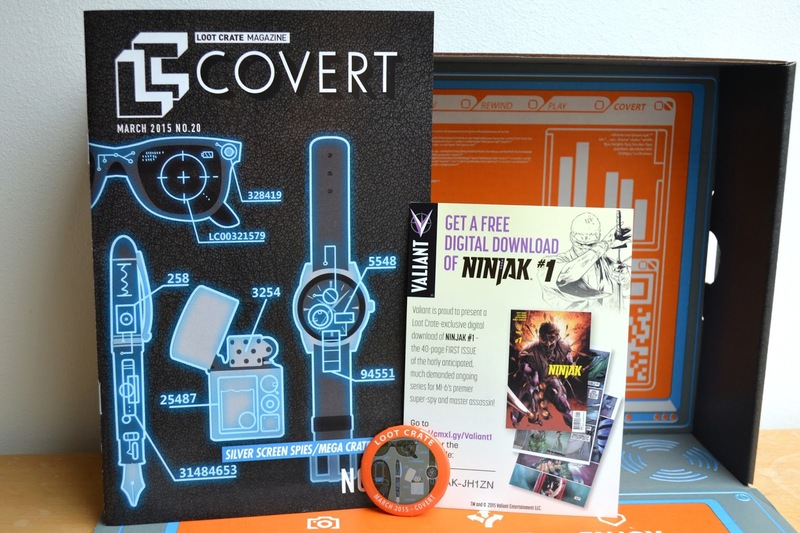 : Loot Crate: March 2015: Covert! I'm going on the record here, note it down, this Covert crate is my favourite Loot Crate since Heroes. I know I said last months Play theme was my favourite since Fear but Heroes was always my most favourite so I'm pretty impressed with this months Loot Crate. To say the least. It may even knock Heroes off the number one spot! 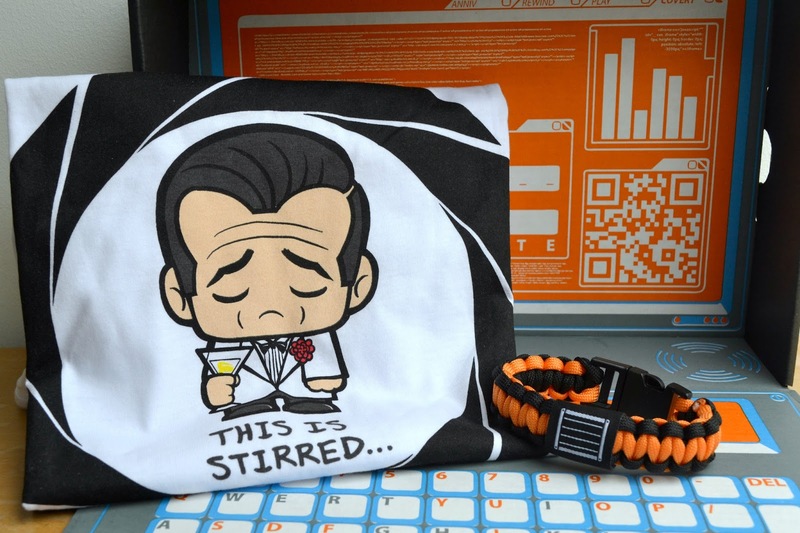 First thing I pulled out was this sad James Bond 'This Is Stirred' shirt. How cute is this? I mean c'mon. I'm not a big James Bond fan but even I would wear this. The art is by JSalvador who does the Super Emo Friends and did the Walking Dead art from the Fear crate. As always the Loot Crate shirts are nice enough quality, if a little thin. This Paracord Survival Bracelet is actually so cool, it's made from military-grade parachute cord and can be used for all sorts of things! Like a tourniquet, making a trap, or fishing. I'm not a survival nut by any means but I have watched Lost enough times to know that this is getting strapped to my hand luggage next time I go on a plane. I'm really excited to see the Orphan Black #1 comic book. 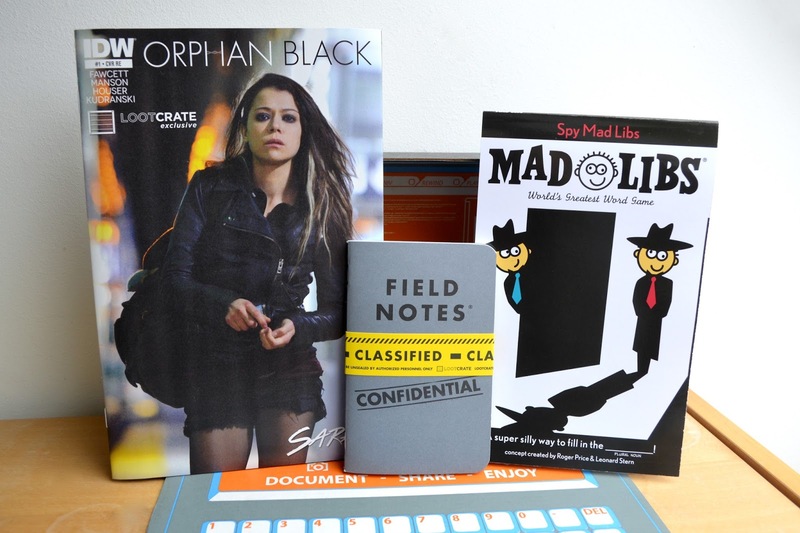 I love the Orphan Black show so I'm looking forward to see what happens in the comic books. I do think the picture on the cover could be a way better resolution- am I nitpicking? I think I am. But either way, Orphan Black is a must watch if you haven't already. Notebooks are always welcome in my house. I go through notebooks like most people go through food and water and these Field Notes are no exception. I just wish they didn't have a '48-Page Memo Book' bit on the front (under the classified tape), it kind of ruins the look for me. But ah well! One is squared and one is lined and I'm excited to put them to use. Confession. I've never played Mad Libs, I feel that was definitely more of an American game than a British game but I remember it from an episode of Friends so I'm going to play a game with a buddy of mine who is obsessed with Friends. Especially these Mad Libs that are spy themed, I think that'll be pretty funny. I'm not a watch person but even I have to admit that this stealthy Blink Time watch from 50 Fifty Gifts (who have so many cool things on their website, I'm in love) is pretty awesome. It has a button that you press and the time appears for about 5 seconds before disappearing. I feel like Phil Coulson, even though he has a very fancy silver watch. 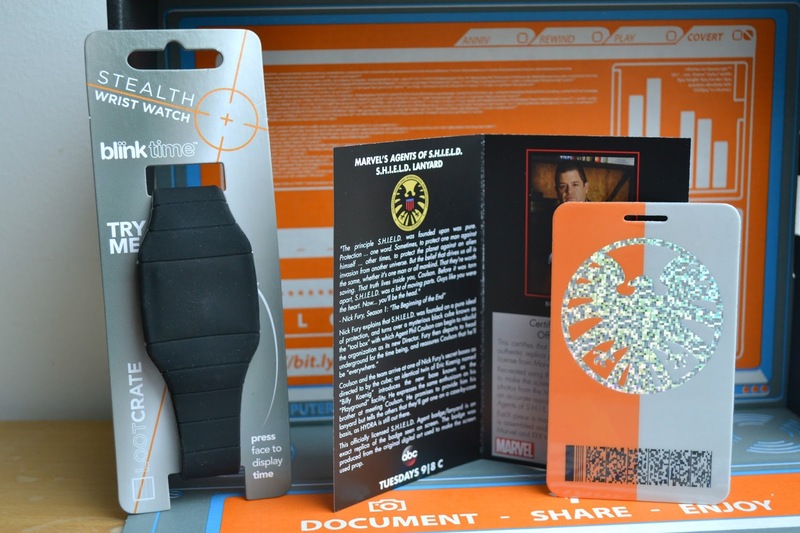 Speaking of Phil Coulson, I am totally going to cosplay as Fem!Coulson now I have an official prop replica of a S.H.I.E.L.D lanyard. I found that bit hilarious on the show so I actually squealed when I found this. Literally my favourite thing Loot Crate has ever sent me. And the usual magazine, badge and this months digital loot; Nijack #1 on Comixology. Pretty amazing crate, huh? 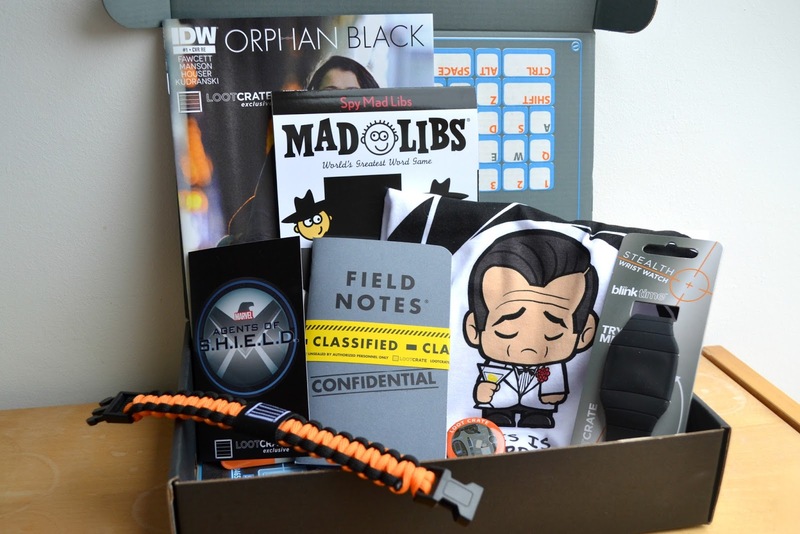 If you want to sign up to Loot Crate you can do so here!